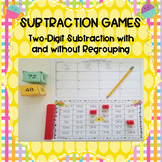 This dice game gives students multiple opportunities to practice two digit subtraction. 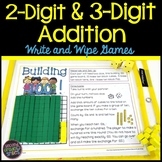 It also incorporates comparing numbers! 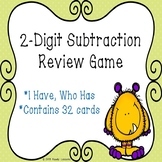 It could be used as group, partner, or individual work or even in a math center. 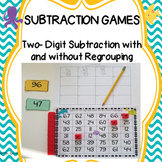 Play Pick, Build, Draw Directions: Pick a card, build the equation on the card with base ten blocks (not included,) draw the equation with base ten blocks on recording sheet, Solve with answer, repeat with next card. 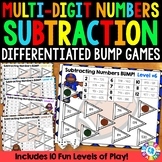 Fun, Cute & Colorful Matching Game! 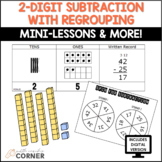 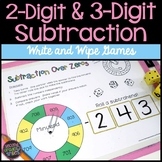 This is a fun way to practice 2 digit addition (without regrouping) Simply print, laminate & cut! 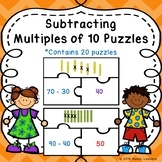 I like to put these in my math bucket for students to sort/match during math centers. 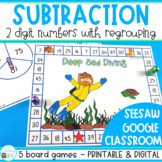 This is a great game for two-digit subtraction. 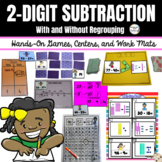 It has space for students to make 6 two-digit subtraction problems. 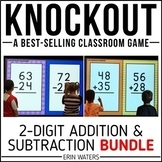 Examples will have to be handwritten in.